Ukrainian poet Juri Fedkovich born August 8, 1834 in the town Putila in the family of fine gentleman Adalbert Fedkovich. In Putila he spent his childhood years (to 1846). Please be aware that Fedkovich's native land – Putila (now the district center of Chernivtsi region) ethnographically belongs to the Hutsul region, divided by administrative and political boundaries between Bukovina (northern part of it forms Chernivtsi region), Galicia, where it occupies the southern part of Ivano-Frankivsk region, and Transylvania (the territory of modern Romania). In times of Fedkovich Bukovina formed the separate crown land within the Austrian (Austro-Hungarian) Empire. Juri's relationships with parents composed not just because of what he at different times of his life called himself Fedkovich or Hordynsky. Kosovan – his street nickname and literary pseudonym. In addition to the name of Juri (George), he also had the names of the Osip and Igor. Austrian Bukovina at that time has been culturally German land, so Fedlkovych studied in 1846 – 1848's in the German real school in Chernivtsi. It was only his systematic education, everything else he had to make up self-education (including Cyrillic script, which was not studied in school). In 1852 – 1863 Fedkovich was in the Army and promoted to officer rank of lieutenant. In 1859 he participated in the Italian campaign. Impressions of native Bukovina and military service were the two main sources of Fedkovich's creativity topics. In literary works Fedkovich addressed in 1858 while serving, and not abandon it until his death in 1888. His first works were written in German, which he continued to use the whole life. Positive critical reviews for his German poems inspired him, and he even hesitated – whether to leave him to write in Ukrainian, and focus on German. Fortunately, it does not occur, and instead of ordinary German writer Fedkovich became the first figure of Ukrainian literature in Bukovina. In Ukrainian literature, he worked as a poet, novelist and playwright. His creativity is not equal, along with the perfect works were much weaker. In the 1860s Fedkovich acquainted with the works of Taras Shevchenko, who has made a huge impression on him (even consider that later verses advocates Fedkovich to be epigone of Shevchenko). 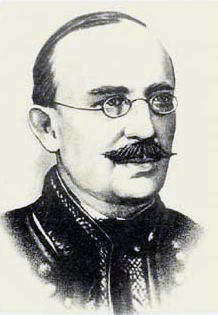 Fedokvych was an energetic promoter of Shevchenko and devoted to him a number of his works. Not all works of Fedkovich were published during his lifetime. The most complete to date edition in 4 volumes (6 books) was published in Lviv in 1902 – 1938 by Shevchenko Scientific society, an honorary member of which he was. Soviet rulers don't nominate Fedkovich as "ukrainian bourgeous nationalist"; but they also made very little efforts to popularize him. So Fedkovich remains little known to contemporary readers. The purpose of our e-edition – collect Fedkovich's works in the fullest extent that our reader itself could choose what he like.